A reminder to my American readers that Sunday June 21 is Father’s Day. An immodest proposal for those of you yet to do your shopping in this regard: if your father is hard to buy for, and likes history and foreign policy, why not get him a book? Or two? And what better gifts of a book than these? 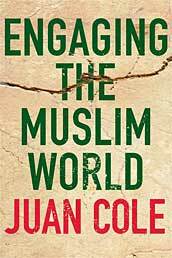 See the new review of this book at Iraq Today. Matthew Stanard reviews it here for H-Net’s list on French colonialism.